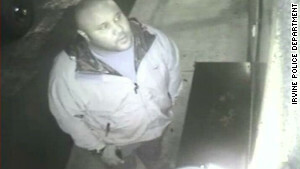 • Body found in burned cabin may be Christopher Dorner: "It may take days before authorities can officially determine whether Christopher Jordan Dorner's body was found in the ashes of a torched cabin near Big Bear Lake, California." • Tugboats give passengers on unsanitary cruise ship hope for relief: "Two tug boats are dragging the nearly 900-foot, 14-story Triumph at a jogger's pace to the harbor, where Carnival hopes to return 3,143 passengers and 1,086 crew members to freedom on Thursday, the cruise line said." • 5 things we learned from the State of the Union: "As with any State of the Union address, President Barack Obama this year had several audiences and there were multiple aims for the White House." • The impact of a $9 minimum wage: "In his State of the Union address, President Barack Obama pressed to raise the hourly rate in stages to $9 an hour in 2015, up from the current $7.25, and index it to inflation. The change, should it become law, would boost the wages of 15 million Americans, according to the White House." • From national championship to jail for 4 Alabama football players: "Just a month after reveling in the glory of a national championship, four members of the University of Alabama football team have been arrested after a pair of campus robberies." If Piers Morgan said it, then I would require at least three proven independent experts to verify the claim before allowing myself to believe any part of it. 3 sources seems a little low, I was thinking at least 5 should do it. So who's going to play him in up a up coming movie.? Sounds callous,but I betcha the wheels are grinding as I write this. Piers Morgan should be in jail. I find it comical that CNN expects us to believe anything a wanted criminal says. In addressing the issue of Piers Morgan value or worth............I will give him all due attention required!!!!! Now, Dorner is most likely dead...before even being found guilty of ONE SINGLE CRIME!!! .......YET THAT IS NOT FRONT PAGE, ABOVE THE FOLD, HEADLINE NEWS?!?!? And what if that body turns out to be some one other than Dorner? Now we'll have the cops being charged with murder?! ?.....cause why would anyone other than Dorner kill themselves?!?!? This is the problem the manifesto was pointing to.......IF Dorner really wrote it.....this would be an example of law-enforcement going out of control..........making sure the thin blue line is kept in place........!!! Robyn, Did i hear this right; two mothers sent their twelve-year olds on a cruise, BY THEMSELVES! let's call Social Services and charge them with neglect, endangerment, and impersonating parents.